Eighteen thousand UK homeowners have earned more than £500 renting out their driveways to motorists looking for a parking space this year, the same amount an average family spends at Christmas. Driveway and empty space owners can also earn an additional 15% over December as demand increases from Christmas shoppers looking for somewhere to park. Those earning the most include residents of London, Brighton, Leeds, Oxford, Bristol, Manchester, Edinburgh, Cambridge and Liverpool who all earned more than £1,500 per year on average. 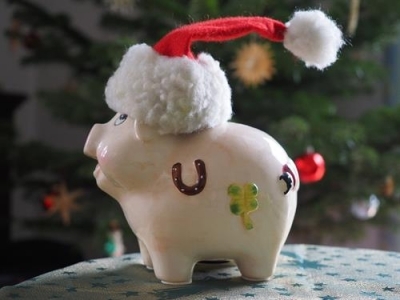 Harrison Woods, managing director at YourParkingSpace.co.uk, said: “Christmas can be a deeply worrying time for many people as finances are stretched to the max. “Some might opt for a loan, turn to family members or even sell a few possessions to raise money but an alternative for those with a driveway or empty space is to rent it out to motorists looking for somewhere to park. Towns and cities across the UK have driveway earning potential. Less obvious money-making locations include Milton Keynes, Luton and Leicester which still saw empty driveways and spaces make more than £1,000 a year on average for residents. Harrison added: “Our advice to homeowners is to list your driveway straight away so it starts earning money, allowing more time to save for Christmas 2019. It’s free and easy to list a driveway on YourParkingSpace.co.uk so there’s nothing to lose.